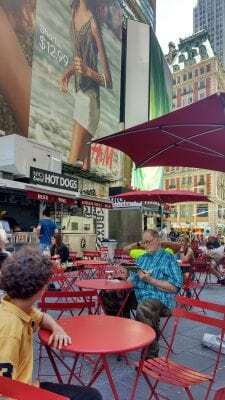 The frenetic activity of Times Square, the peace of Bryant Park and the stunning beauty of Central park, Broadway, 5th Avenue – so much to see, do, hear and experience and far greater writers that I have written copiously and beautifully about New York. 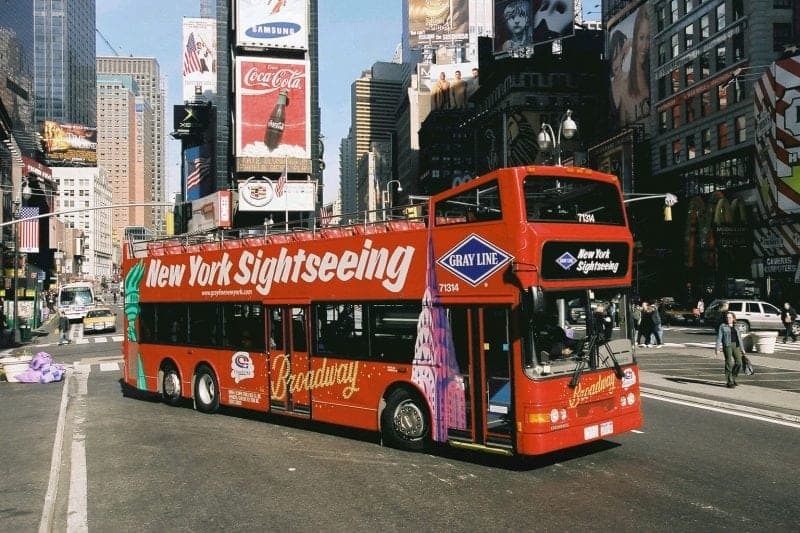 But here is my list of the top 12 things to do in New York City, believe me there is so much more than this but these were our favourites. 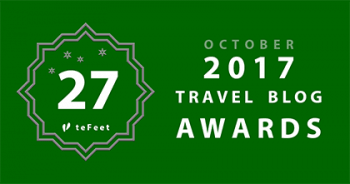 We took a Hop on Hop Off bus tour to familiarize ourselves with the City which we do in every city we visit, it’s a great way to get around and learn the places you want to go back to. 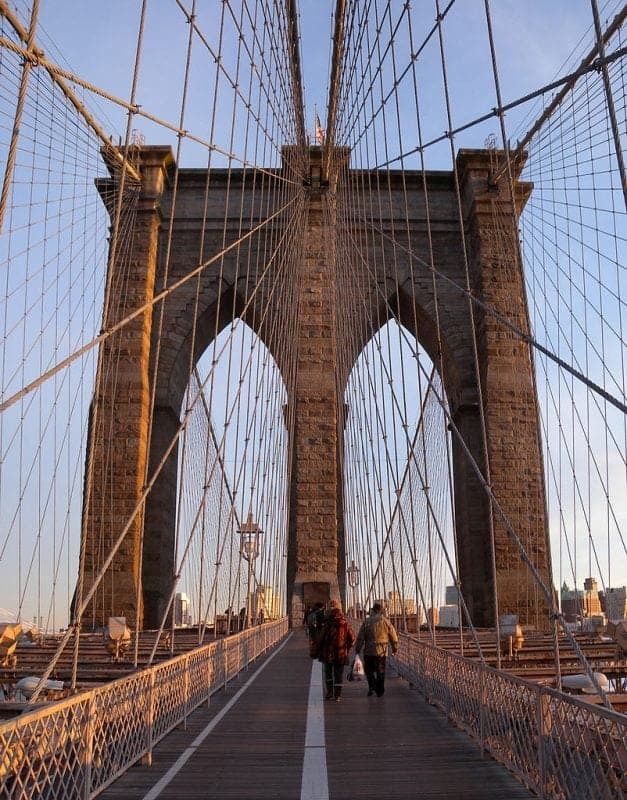 This is our list of the 12 best things to do in New York plus food of course. We stayed in an Air B&B in Brooklyn when we arrived in New York and I wish I had more time to explore this fantastic eclectic neighbourhood. Gabby from Boarding Call has written a great article on The best free things to do in Brooklyn which will be my go to guide for my next New York trip. 1. 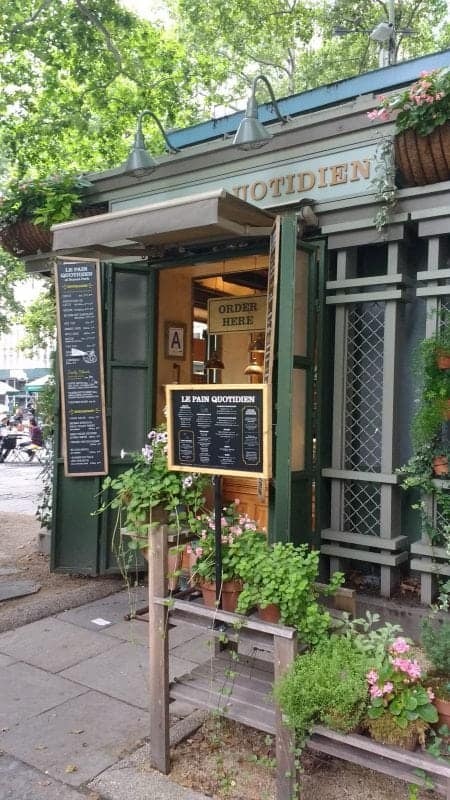 Our favourite place, well one of them was Bryant Park behind the New York Central Library. The Library has a lovely reading room available in the park and you can peruse the latest novel or newspapers, play a game of bowls, ping pong or even get down to the park for a film in the evening. 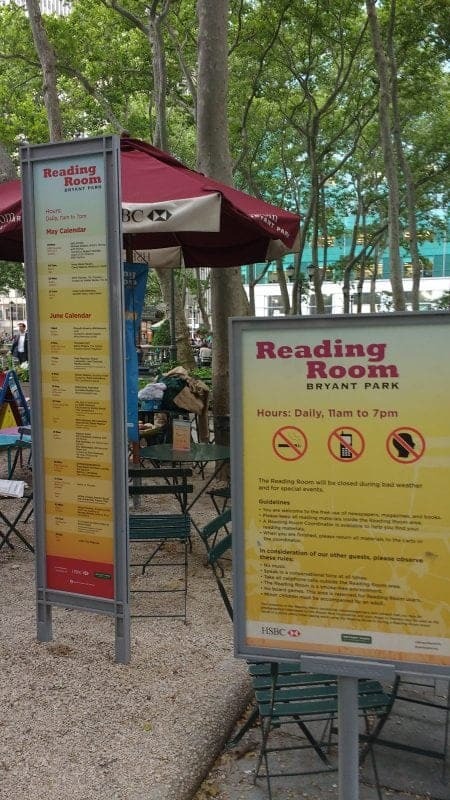 Canadian libraries should follow Bryant Park’s example. 2. 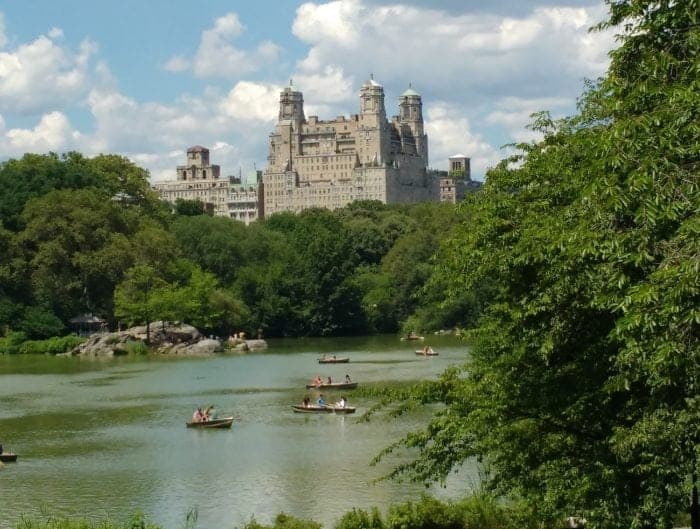 Central Park is also a must see, the park is immaculate, no smoking is allowed within the park and it has a quiet and peaceful charm about it. We took the hop on hop off bus of which there are several companies that do this and they all cost around $75 Cdn for 4 days. 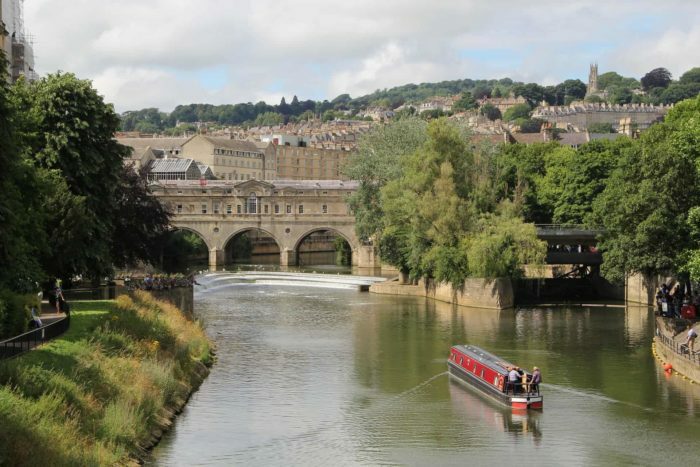 They include a Bagel Breakfast and a boat ride which is pretty good value for money and allows you to get your bearings for the loads of walking you will do. 3. 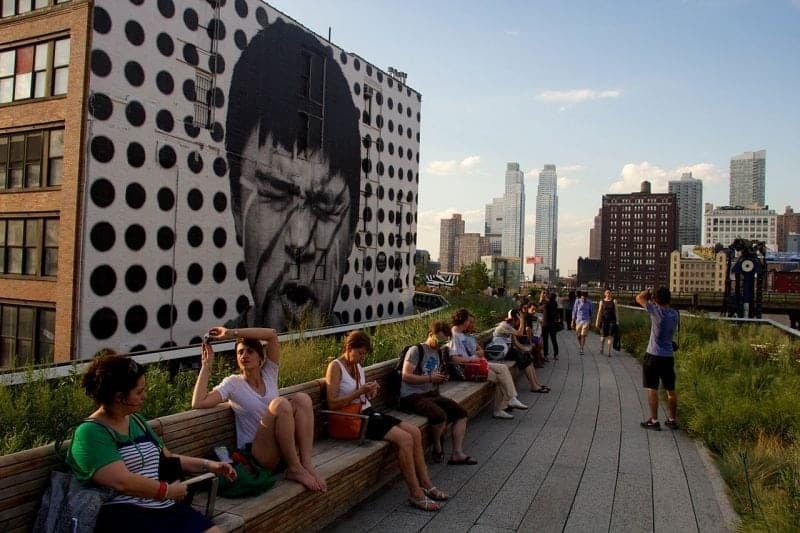 The High Line may not be a secret, but it is definitely one of New York City’s gems. An abandoned, above-ground railway stretching from the Meat Packing District to Chelsea, the High Line has been restored to feature botanical gardens, a walking path, and great views out over the river. 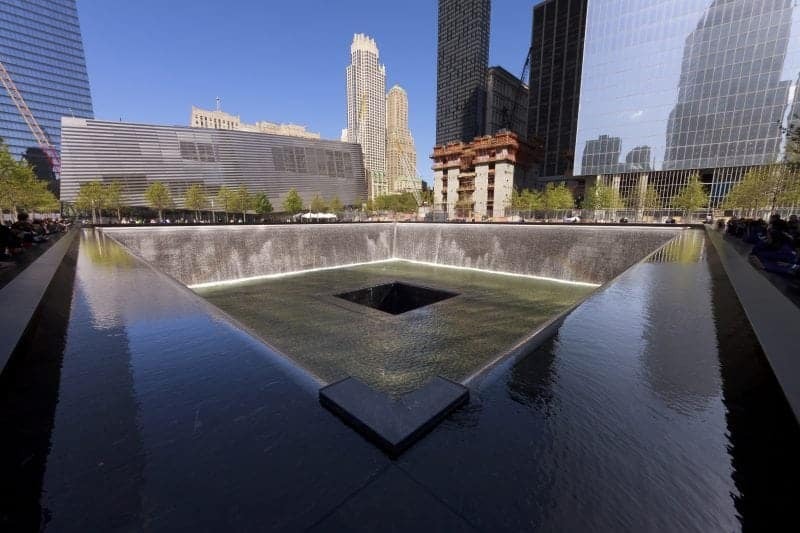 A visit to the 9/11 Museum and Memorial Plaza can be a very emotional experience, particularly if you memories of that awful day. However it is a tour that you shouldn’t miss. The Memorial is free to visit; the museum costs $24 per adult but is free Tuesday evenings from 5pm to close. Head to the 86th floor of this towering skyscraper to experience truly jaw-dropping views of Manhattan. You’ll have to wait in long lines for this attraction but if you book a tour with one of the many tour operators you can skip the lineups. If you want majestic views of New York City that also include Central Park and The Empire State Building, then consider heading to the Top of the Rock. The observation deck at Rockefeller Center doesn’t see as many visitors as the Empire State Building, and many argue that the views here are even better. 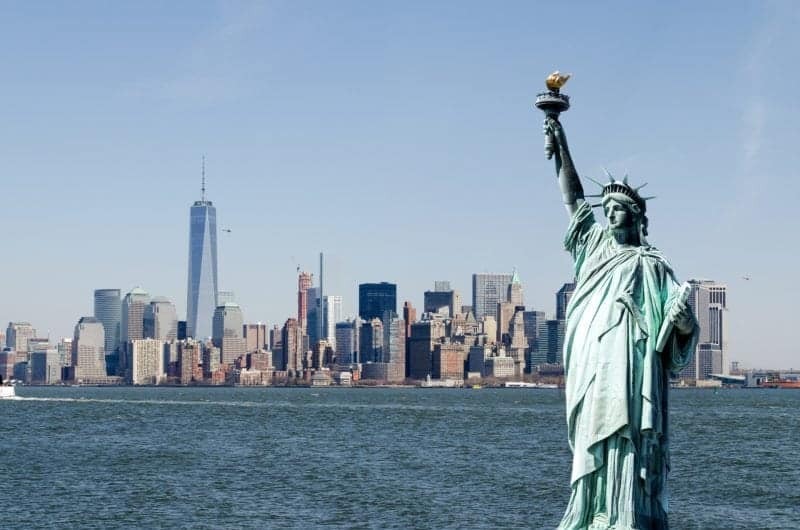 Take the free Staten Island Ferry to get some incredible views of the statue. Another of New York’s iconic sites it’s free so take a long slow walk over the bridge to enjoy the views over Brooklyn and Manhattan. When you are on the Brooklyn side make time for some of the great street food or restaurants at a much better price than the City itself. A visit to the Grand Central Terminal is a must when you are in New York and most likely you will be passing through it at some time. So take time to enjoy the architecture, the people watch, the food hall here is superb so take a moment to enjoy some great food or take an official tour. Home to some of the most famous works of art in the world. The Museum is home to Van Gogh’s Starry Night, Monet’s Water Lilies, and Andy Warhol’s Campbell’s Soup Cans. This is a definite don’t miss. Worth seeing just to say you did but Times Square is a noisy busy place so don’t stop to eat (unless its some street food) the hordes of tourists will drive you mad, but at least you say you saw it. The Met is for me one of the absolute best things to do in New York, how can you not love a museum that charges what you can afford to pay? This is one of the best Museums in the world and you can ‘pay what you can’ which means everyone can afford a visit. The Museum holds over 5,000 years of history within its environs and is a without a doubt New York must do. So much to do in New York and so little time. Take in a Broadway play or musical, check out Off-Broadway. 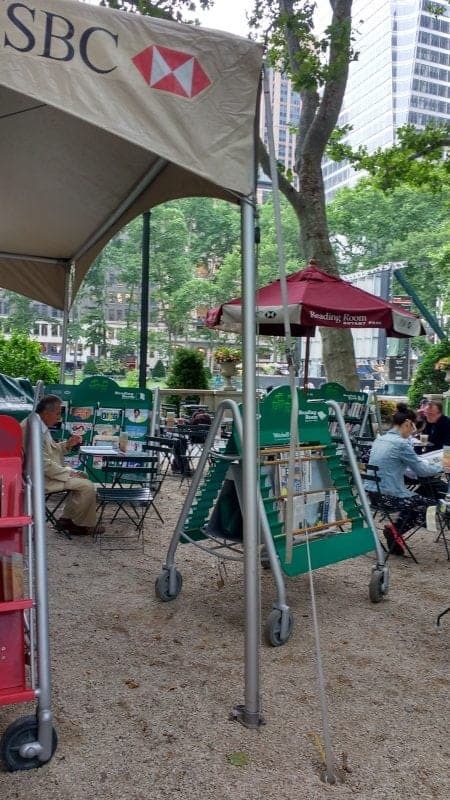 Eat some street food, hang out in Bryant Park, go to the library and shop – one must always shop in New York. 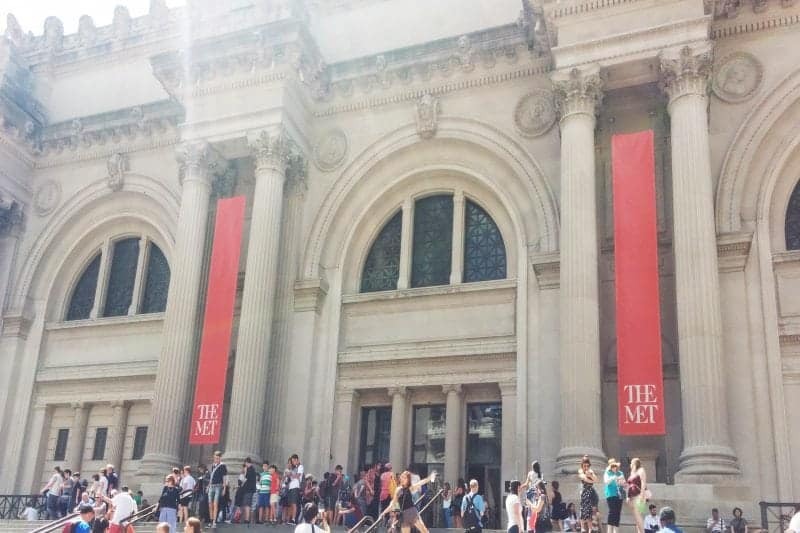 Check out this post on the Manus X Machina Exhibit at the Met. Obviously you can’t talk about the city without mentioning that one of the best things to do in New York is eat. So can we talk about food in New York, just for a moment. This is the 2lb Fidler on the Roof deli sandwich from the Carnegie Deli, cost $29 US dollars. 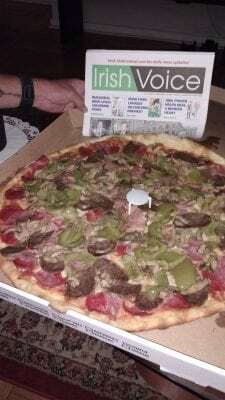 Then there is is New York Pizza, double the size of a Canadian one. 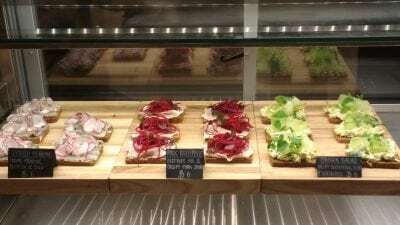 These lovely open faced sandwiches can be found in the superb food court at Grand Central Station. 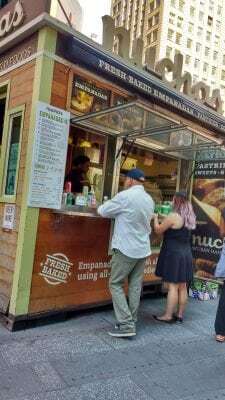 Let’s not forget the vast range of street food in New York either. What a great read. I like the less touristy options you give. I’m headed to NYC next month for the first time. 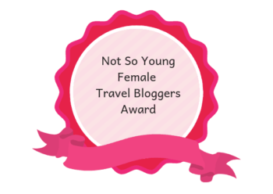 I’ll be bringing this article with me! Jealous I adored NY and so want to go back many times again. 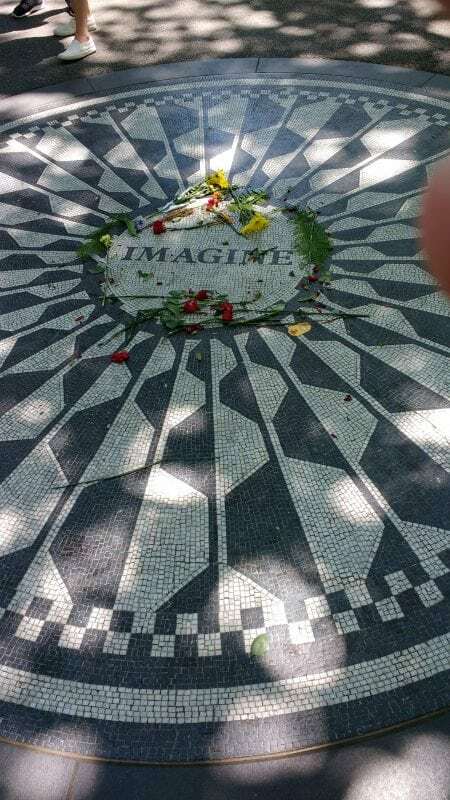 I love NYC – I’m here right now and love exploring all the city has to offer. 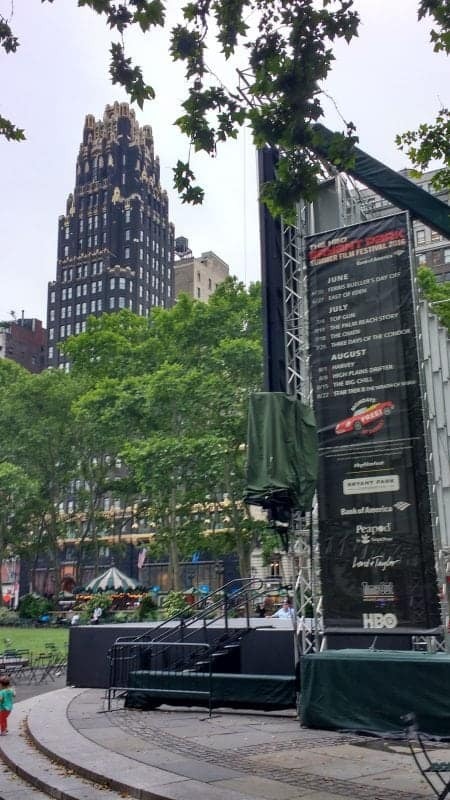 I love spending time in Bryant Park especially in the Spring! I only had a day in New York, so there is so much more I need to see. I did do the sightseeing bus, but I would have loved to explore the High Line. This is a great list! 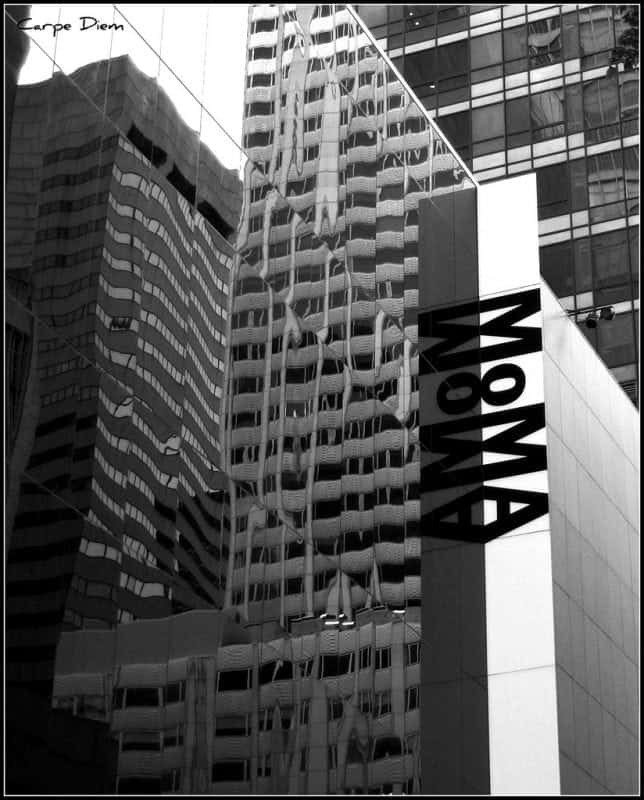 I think that they took away the pay what you can at MOMA. So sad. I haven’t been to NY in ages and this has me excited to plan a trip! I would love to go back to NYC there’s so much we didn’t do on our first trip! I know a lot of people go for a weekend and think they’ve seen it all but that’s impossible. Great list!